Property developer Tee Land is buying the freehold Casa Contendere in Gilstead Road in a collective sale for $72 million. The price works out to $1,638 per square foot per plot ratio (psf ppr), inclusive of an estimated development charge of $15.1 million. 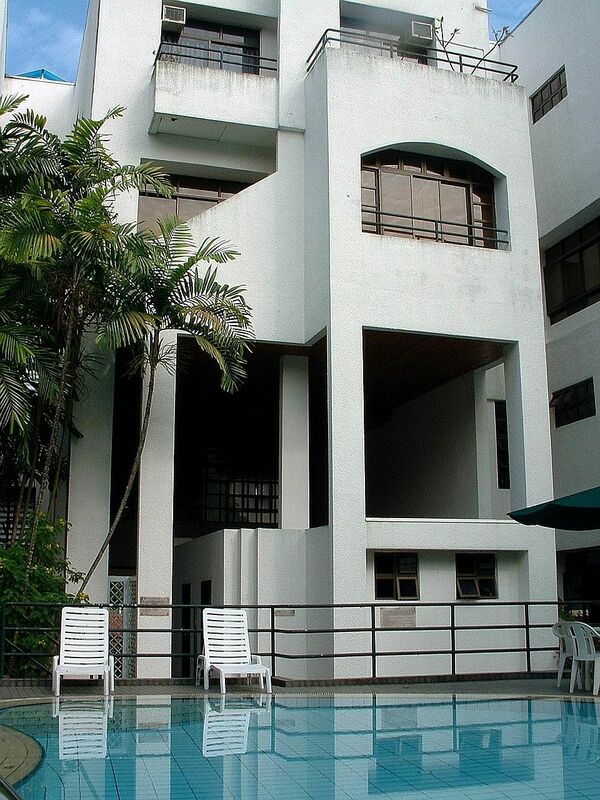 Casa Contendere, which is in District 11 and near Newton MRT, is a four-storey block comprising 11 maisonette units. The estate has a land area of 37,972 sq ft and a 1.4 plot ratio. Owners will get from about $5.9 million to $7.5 million per unit. The Keck Seng Group is understood to own six of the units. Casa Contendere's collective sale was sealed through a private treaty deal brokered by William Gan Realty. As unanimous approval from the owners has been obtained, the deal will not be subject to approval by the Strata Titles Board. Tee Land told the Singapore Exchange last night that it has entered into 11 option-to-purchase agreements to acquire the plot. "The plan is to build a block of residential apartments on the land. The proposed acquisition is... expected to be completed by end-February 2018," it said. The site can be redeveloped into an apartment project with about 70 units, with an average size of 753 sq ft gross floor area. In September, Tee Land announced its purchase of a small strata development comprising six townhouses in Seraya Crescent, off Upper Thomson Road, through a collective sale at $25.74 million. The price for the 24,069 sq ft freehold site translates to about $931 psf ppr, inclusive of development charge. This latest deal takes place amid a redevelopment frenzy that has drawn the attention of lawmakers. About 2,700 private homes have been sold en bloc so far this year, more than four times the 600 units sold last year. In response to a question in Parliament from Sembawang GRC MP Lim Wee Kiak, National Development Minister Lawrence Wong on Monday said the spate of collective sales of residential properties will not necessarily translate into higher home prices. Mr Wong pointed particularly to the additional buyer's stamp duty (ABSD) that can be imposed on a developer which fails to build and sell new units within five years of the site being awarded. The ABSD amounts to 15 per cent of the site's purchase price. Such a measure would help ensure that developers price their home projects reasonably for sale, he said. At the same time, sites sold collectively will be developed and the new homes put up for sale in the next one or two years. This would increase supply in the market and put some "moderating pressure on prices down the road", he noted. Correction to the above post. Fyve Derbyshire is replacing Derby Court at Derbyshire Road, not the Casa Contendere. Casa Contendere is probably being replaced by a new project called 35 Gilstead (to be confirmed). And for those who are wondering about the name, it is actually a play on the address. Which is 5 Derbyshire Road, or Five Derbyshire. The floor plans here are quite decent, and the facilities are better than for most new freehold projects. The Fyve Derbyshire showflat is not at the actual site, but quite near by, at Novena, on the site of Moulmein 27, which is also owned by Roxy Pacific Holdings (developer for Fyve Derbyshire). Fyve Derbyshire indicative pricing was reported in today's Business Times as being around $2,380 PSF. Better than for 10 Evelyn nearby.